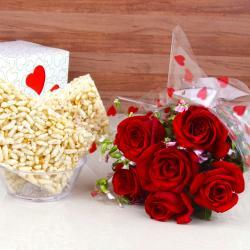 Product Consist : Til Peanut flavour Chikki (Weight : 500 Gms) along with 10 Red Roses Hand Bouquet. Kite day festival brings sweet happiness with taste of chikki and joy with colorful flying kites. An event is best experienced at the heart of all the action. A perfect example of this was Makar Sankranti or Uttarayan. 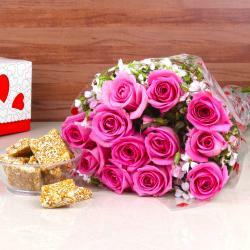 Chikki gifting is very good for the health so basically this is a health beneficial gift for your family members or loved ones. It is a anytime snack, all love to eat. We all have that one friend, sibbling or relative who just loves Chikkis. It can be have in their breakfast or lunch as Indian sweet. This type of traditional selection theme gifts will be completely appreciated by them. 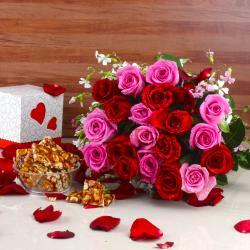 And if you are their favorite person than here is a Classy and effective gift combo for you. 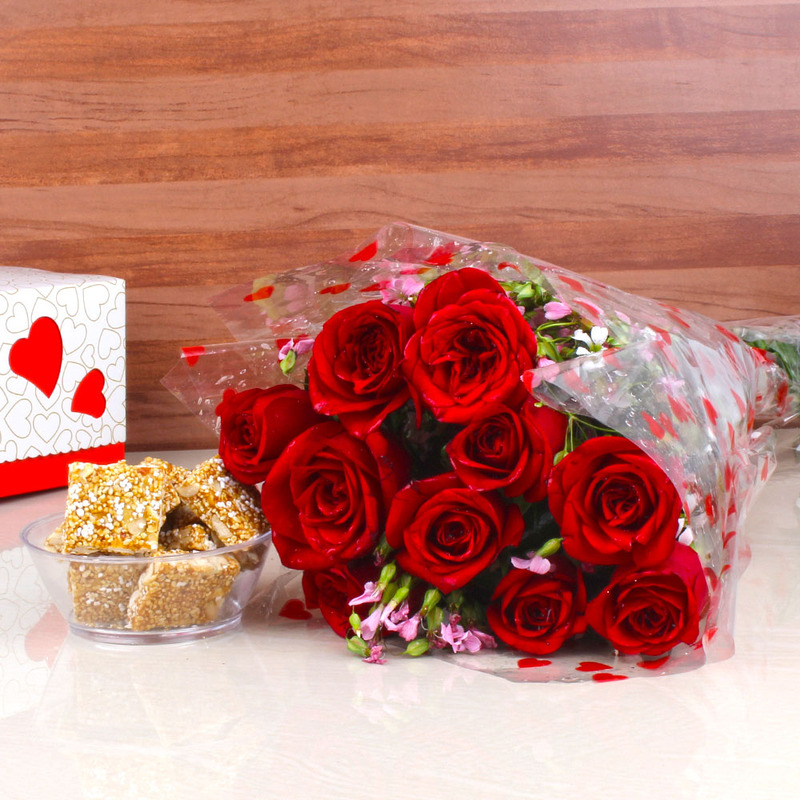 This gift combo of Til Peanut Chikki with Red Roses Bouquet should be the best bet for special occasions and festivals. Browse your favourite products, it is very conveniently available for online shopping from anywhere in India with Same Day Delivery option. 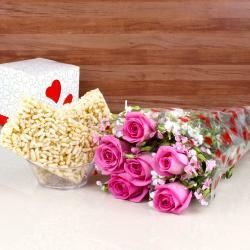 Product Includes : Til Peanut flavour Chikki (Weight : 500 Gms) along with 10 Red Roses Hand Bouquet.